These Chocolate Gingerbread Cookies have all of the flavors of gingerbread... ginger, cinnamon, nutmeg, cloves, allspice, and molasses. 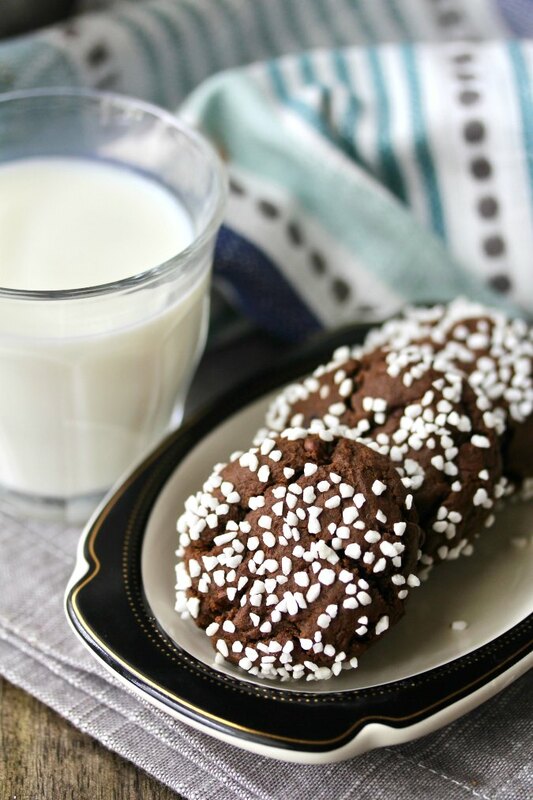 These blend amazingly well with cocoa and chocolate chips. 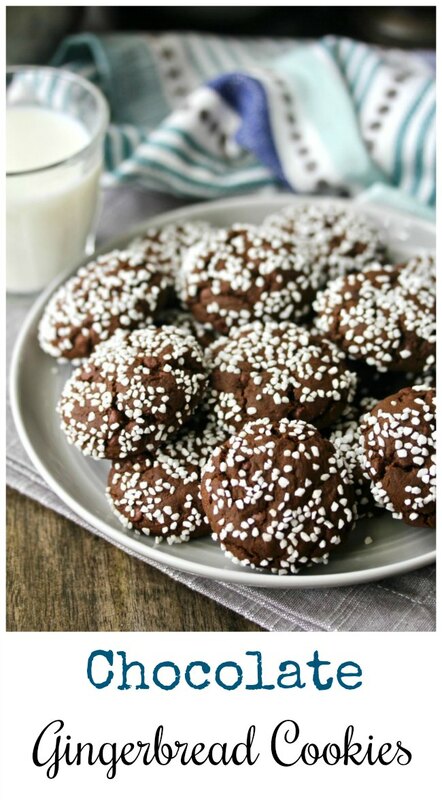 I found this recipe in the Holiday Inspiration 2018 King Arthur Flour Catalog. The catalog is usually loaded with lots of stuff I want to buy, plus a few recipes that incorporate some of their specialty ingredients. These cookies immediately grabbed my attention (along with the cinnamon bun loaf, and the Christmas Brandied Mince Tarts). 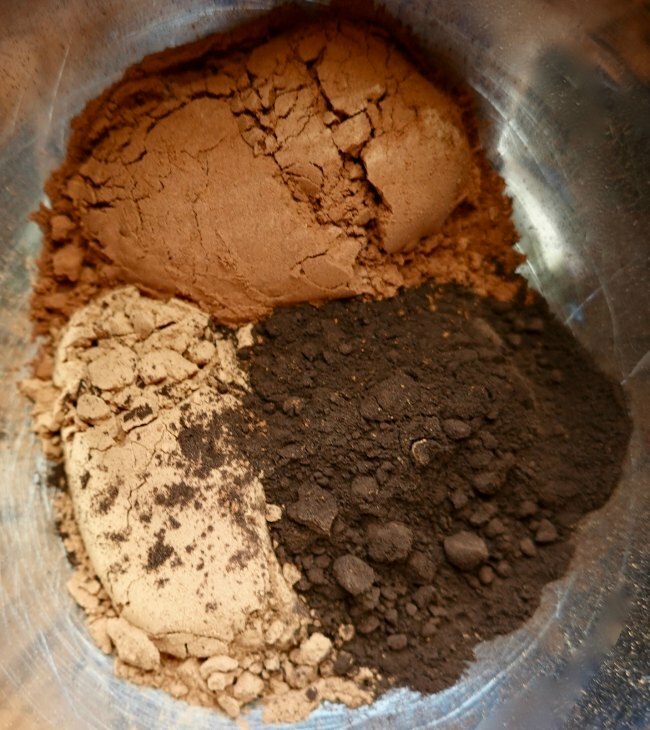 To make the triple cocoa blend called for in this cookie recipe, I combined natural cocoa (such as Hershey's), Dutch process cocoa, and King Arthur Flour's black cocoa. Note: If you can't find black cocoa, just use Hershey's Special Dark cocoa for all of the cocoa called for in the recipe. I also made my own gingerbread spice by combining ginger, cinnamon, nutmeg, cloves, and allspice. This month, the Fantastical Food Fight theme is gingerbread. Be sure to check out the rest of the gingerbread themed recipes from our group. My grandsons loved these cookies. Even the one who does not like spicy ginger cookies. I'm pretty sure that the chocolate really mellows the ginger. Heat your oven to 350 degrees F. Line two baking sheets with parchment paper. In a medium bowl, whisk together the flour, baking soda, spices, salt, and cocoas. In the bowl of a stand mixer, beat the butter with the sugar together until fluffy. It should be light and creamy. Add the flour mixture and stir. Add the chips and stir. Place the pearl sugar in a shallow bowl. Scoop the dough with a tablespoon cookie scoop and then roll the top of the shaped cookie in the pearl sugar. Place the shaped cookies, 1 1/2 inches apart, on a parchment lined baking sheet, sugar side up. Bake the cookies, one sheet at a time, for about 10 to 12 minutes. Let the cookies cool on the pan for 5 minutes. Transfer them to a wire rack until completely cooled. What a great recipe for chocolate lovers! I love that swedish sugar on top- looks fantastic and very wintery! These are a real treat Karen. Kid's will love these. 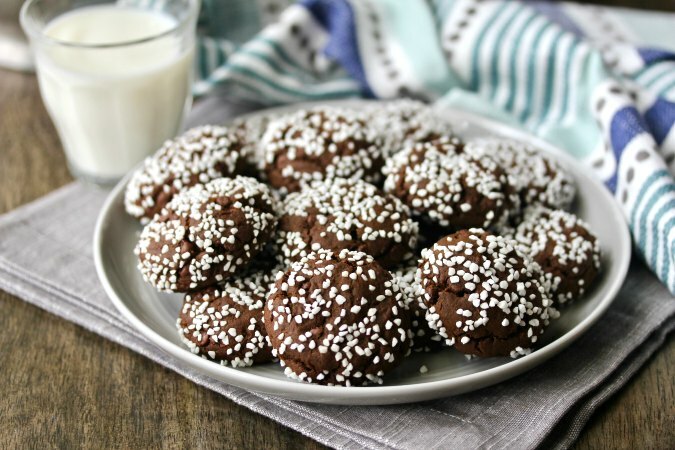 These cookies look delicious - I always enjoy chocolate + ginger in sweet treats! Thanks!! It's one of my favorite ingredients!